I took delivery of Nexon Xza+ Amt diesel yesterday. I have got some doubts from day one of owning the car. Firstly, I got only on car key and wearable key with the car. 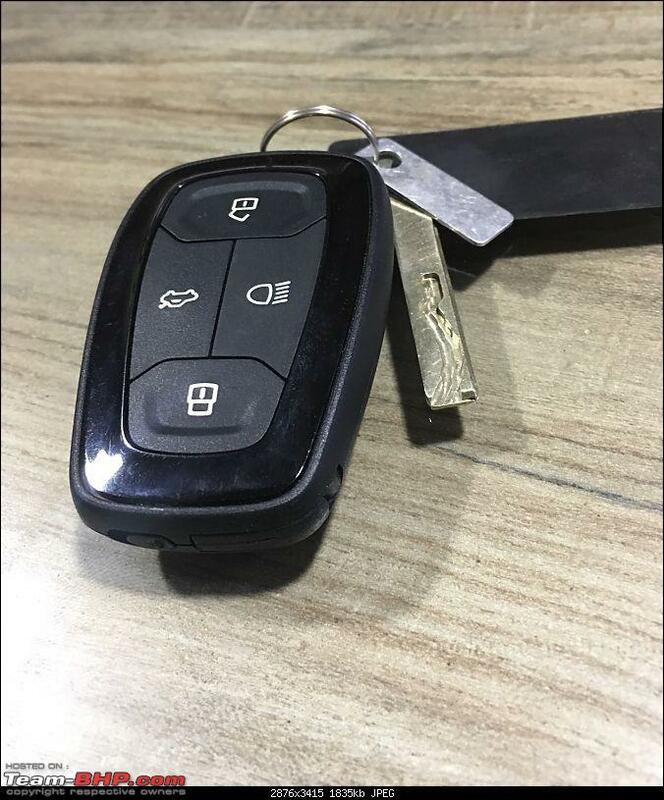 The showroom says that tata doesn't give spare key and instead wearable key is the spare key. Secondly the Co-drivers lock doesn't unlock when the ignition is on. I need to shut down the car lock is by the car remote and then unlock with the remote to open the door. I explicitly asked for a spare physical key but was told that it was not provided. I found it strange since spare keys are given by default from other manufacturers. The wearable key is electronic and definitely not a realistic backup key. The codriver door opens for me though. I received a remote (which has a key inside), a spare key at the time of delivery and a wearable key after a month. The service advisor was able to solve my door unlocking problem. There was some problem with the lock and it was solved by greasing. The service center also updated my software and now I have apple car play. Regarding the spare key , they say Tata provides the wearable key as spare key. I have asked a quote for the spare key. Will order one if Tata doesn't provide. It's a serious issue which I feel Tata should take care of and provide spare key as standard and wearable key as an accessory. Day 2 has been satisfactory till now. The service team was also very prompt in taking action. Guys a few issues i noted with my Nexon XZ+ after 4 months of ownership and just 5000 kms on the odo. 1. If i keep the co driver window partially down while driving the car gives a very annoying sound from the door as the window vibrates a lot when passing over bumpy roads.However if the window is fully up or down no vibrating sound. It's the same issue i had with the driver side window few months ago and the issue was fixed by the service centre however the same issue has occurred again but on the opposite window. Anyone facing the same issue or knows the reason why this happens. 2. The cabin light does not turn off by itself after i lock my car or go out of my car after parking it. There is some strange behaviour i see with the cabin light once a while where it does not turn off at all and remains illuminated even after i park my car at night.It happening occasionally and I have to manually set the switch to off and it's really annoying. Not sure why this happens once a while as i have no clue at all. Does anyone face such an issue or have faced it ever before. 3. If i am travelling without an AC i observe hot gushes of air coming out of the AC vents as if the heater is on. I tried shutting the AC panel off completely but it doesn't seem to help and i feel hot air coming even when the AC is turned off. It has happened occasionally and doesn't happen always so not sure how to convince the service centre to get it checked. Does anybody else face such an issue with the car and what could be the reason or its solution i would really like to know. Some help here in this regard will be really appreciated. 1. What did they do the RHS window? Same issue with LHS window. Please do ask TASS directly and let us know the issue. 2. Could be a faulty door sensor somewhere, which makes the 'cabin light' stay in on position. 3. If the AC is off, and fan is ON then it is bound to blow hot air from outside to inside. It's not 'HOT' necessarily, but it's more than the cabin temperature since it comes from outside. Is this with the recirculation mode on or off? Does the re-circulation mode make any difference to this? I have the same issue on a brand new petrol nexon. I suspect inadequate insulation from the engine bay causing the hot air to seep through. TATA Nexon SUV launched in Bangladesh. The compact SUV will be sold in Bangladesh through its local distributor, Nitol Motors. The Nexon will be available in the country in the top-spec XZA+ trim-level in both petrol and diesel engine options. Six colour options will are available to buyers - Etna Orange, Vermont Red, Moroccan Blue, Seattle Silver, Glasgow Grey, and Calgary White. Prices are BDT 24.9 lakh for the petrol and BDT 25.9 lakh for the diesel. Tata Nexon to get JTP version. 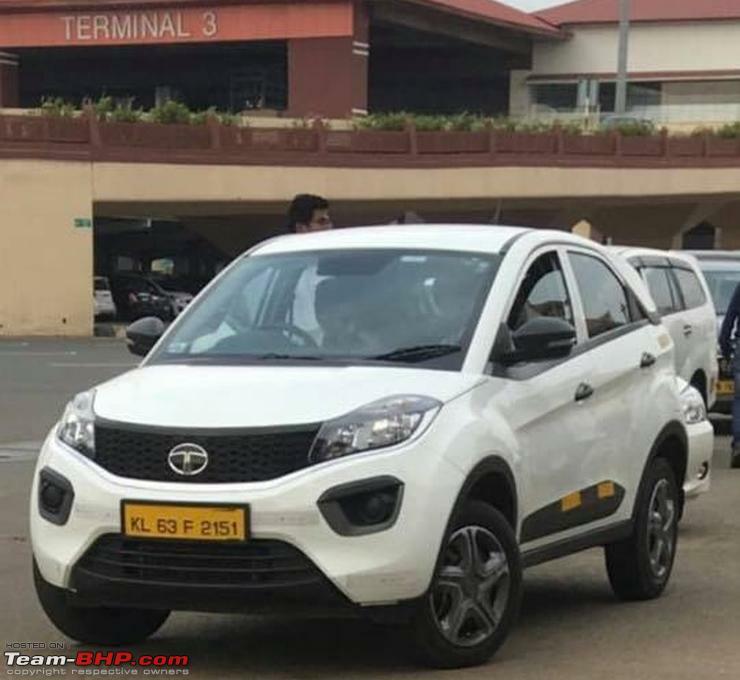 The Tata Nexon compact SUV has hit the taxi circuit, and here’s the first picture of one such example from Kerala. This particular example was recently spotted by Mr. Bobby Paul outside the Kochi international airport. This is the first time ever that the Nexon has been spotted in India wearing yellow plates. This particular example is the base variant of the compact SUV, which is standard fixture in the taxi circuit. The Nexon getting inducted into the taxi space comes as no surprise as the vehicle has a spacious back seat, which puts it a few notches above the Ford EcoSport and the Maruti Brezza – its key competitors in the sub-4 meter compact SUV segment. While we’re yet to see taxi variants of the facelifted Ford EcoSport and the Maruti Vitara Brezza, there are plenty of yellow board Mahindra TUV300s doing taxi duties in many parts of India. While the Nexon hitting the taxi circuit will bring Tata Motors a good chunk of incremental sales, some existing owners of the compact SUV are already complaining that the ‘image’ of the compact SUV will suffer adversely if too many Nexons flood the taxi circuit. Tata Motors has worked hard to shed its image of an automaker that builds cars mainly for the taxi circuit, and it’ll be interesting to see whether Tata actually encourages fleet sales of the Nexon. Considering the fact that personal car sales may slow down in the coming years, with app-based cab aggregators and self drive car operators taking over much of the market, the taxi segment is something no automaker can ignore. The Nexon sold in India is available with two engine options – a 1.2 litre turbocharged petrol with 108 Bhp and a 1.5 litre turbocharged diesel with 108 Bhp-260 Nm. 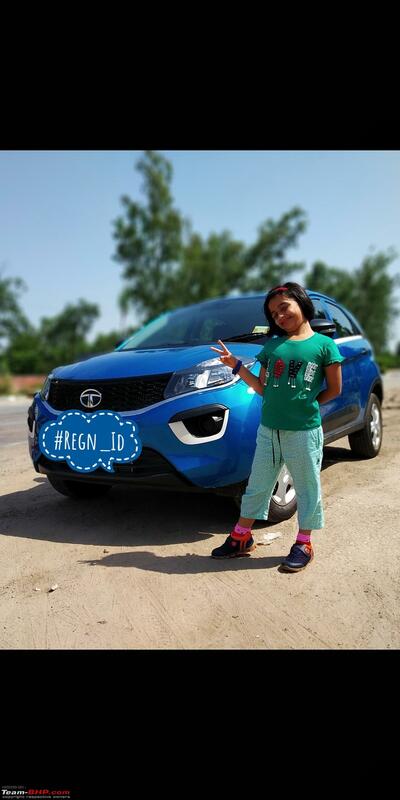 The best priced compact SUV of India, prices of the Nexon start from Rs. 6.29 lakhs, allowing it to significantly undercut the likes of the Ford EcoSport and the Maruti Brezza. Currently, Tata sells about 4,000 units of the Nexon on an average every month. Hitting the taxi circuit could easily add a fifth to these numbers. The question remains, will Tata want the Nexon to be seen in the taxi segment? I believe that it is the XM variant, and not the base variant, looking at the Wheel Covers. I may be wrong!! I'm not sure if this has been reported earlier. As per the latest Nexon brochure from a Hyderabad showroom, Dual tone options are coming soon with Ivory White roof option along with the existing Sonic Silver. Don't know the expected timeframe of their availability, but since they came in the brochure already, I believe they might be available for festive season next month. Sorry don't have the picture of the brochure with me, but will share as I get hands on it. I'm curious to see how the Grey one looks like. Try Tata Nexon online configurator, you can check all these combinations. NOTE: It's a slow configurator. So have some patience. Completed my first highway trip, albeit short, on my 10 day old Nexon P XMA - Ghaziabad-Bharatpur-Ghaziabad. 14.5 kmpl on the entire trip. 2800 rpm onwards the engine rocks. Bottom end ain't bad though. Can't wait for the running in to complete. Braking, handling and ride quality no complaints. Lack of cruise control sorely felt because the engine is so smooth and quiet at 100kmph. A bit of wheel balance issue is present which is discernible after 100 kmph. Driving seat and position is supremely comfy, and am wary of getting a seat cover lest it spoils the position/comfort. XMA doesn't have trip meter, or I haven't found it yet, which is like meh! Need to get DRL Fogs quickly. Took just one mobile shot of the car from the Trip, 7 of the family and 245 shots of birds. Last edited by roy_libran : 17th September 2018 at 09:10. Tata’s First JTP (Jayem Tata Performance) model, the Tiago JTP, is gearing up to launch this Diwali. The Tiago JTP will soon be followed by the Tigor JTP. These variants that target young enthusiasts are not merely aesthetically enhanced versions of the standard models but they benefit from significant mechanical upgrades. Given that the Nexon crossover is very popular among B-Segment car buyers, a JTP version looks like a no brainer. 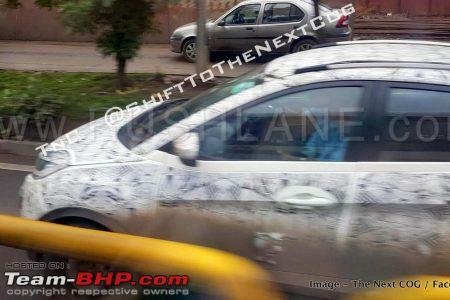 Tata Motors has already stated that the Tata Nexon JTP will certainly happen but not in the immediate time frame. 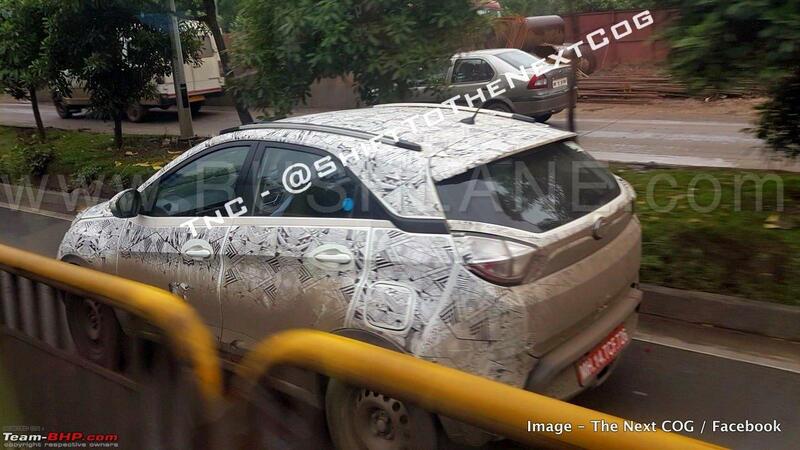 That said, here are the first spy shots of an early test mule of Nexon JTP, spotted by The Next COG on Facebook. 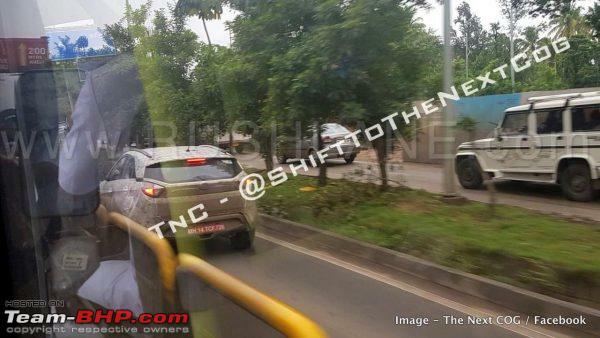 The 2019 Tata Nexon JTP is slated for a 2019/20 fiscal launch. It is expected to be timed with a facelifted version of the Nexon. This means, the Nexon JTP would be powered by the BS-VI version of the 1.2-litre Revotron turbocharged petrol engine. 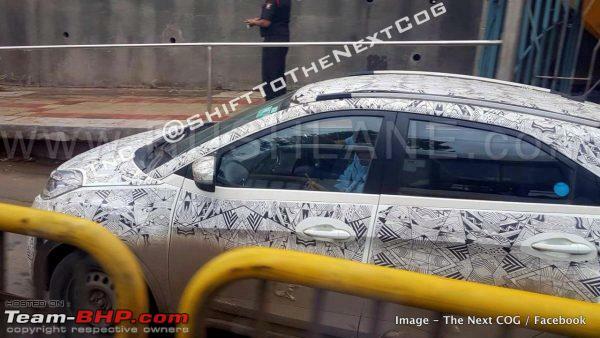 If the Tiago JTP is anything to go by, we can expect the Nexon JTP to have more power than the standard model, i.e. more than 110 hp. The 6-speed manual gearbox is also likely to feature tweaked ratios for a sportier performance. Things won’t stop with pumped up powertrain. The Tata Nexon JTP is also expected to benefit from a lowered suspension system for better handling and upgraded brakes to manage the additional performance. Of course, the crossover’s exterior will be spruced up with skirts, more aggressive bumpers, contrast accents, larger wheels, etc. The interior too will feature a lot of exclusive elements including special JTP branded leather upholstery. The JTP range of performance variants are aimed at improving Tata’s brand value among driving enthusiasts. The Tata Nexon JTP will be pitted against the Ford EcoSport S which has 125 hp and a stiffened suspension on offer. Apart from this, it could also take on the upcoming Maruti Vitara petrol SUV, which will get the 1.5 liter engine from Ciaz petrol. Who else is excited about a sportier Nexon? My personal observation is that, this is not the top spec XZ Model, so will Nexon JTP have multiple models and not just a top model? All times are GMT +5.5. The time now is 10:02.